We wish this were a joke, but it’s the US Food and Drug Administration’s latest claim in its battle with a Colorado clinic over its Regenexx-C™ procedure, a non-surgical treatment for people suffering from moderate to severe joint or bone pain using adult stem cells. The Centeno-Schultz Medical Clinic takes your blood and bone marrow, puts it into a centrifuge machine that separates the stem cells, and cultures it to get more cells before a doctor puts them back in your body to repair damaged tissue. 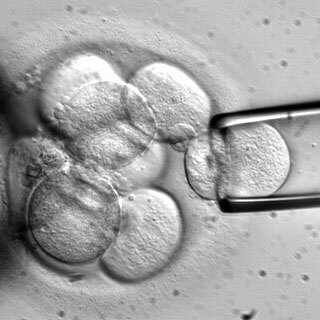 The FDA states that when the stem cells are cultured, they become FDA-regulated drugs. The clinic has argued numerous times that stem cells aren’t drugs because they are components of the patient’s bone marrow from his or her own body. However, the agency seems to be of two minds. When ESPN magazine was doing a story on stem cell treatments, the FDA stated that US policy is to allow the injection of stem cells that are treated with “minimal manipulation,” which federal regulations define as “processing that does not alter the relevant biological characteristics of cells or tissues”—which is certainly the case with the Regenexx same-day procedure. Editors’ Note: An earlier version of this article reported that when blood and bone marrow were put into a centrifuge to separate the stem cells, the FDA considered the stem cells to be a drug and claimed authority to regulate them. The article has been updated to reflect that FDA only claims authority to regulate as drugs those stem cells which are cultured before being re-injected into the body.